Editor’s note: This is part of a continuing series highlighting the research being carried out by undergraduates at UC Berkeley across a variety of disciplines. You can find all the stories in the series here. Rani Davina Chan’s first taste of French culture was through the popular children’s book series, “Madeline.” Her fascination with Madeline’s precocious yet adventurous character as a child in the Philippines would follow her as she went on to become an international student at UC Berkeley. Now a senior in her last semester at UC Berkeley, Chan is wrapping up her second year as a research apprentice for media studies lecturer Edward Timke. For Chan — a double major in media studies and political economy, who had just completed four semesters of French on campus — finding Timke’s research opportunity in her junior year seemed serendipitous. Timke said in an interview that his project makes the argument that representations of American women in French magazines and representations of French women in American magazines served many purposes, one of which was to prop up traditional, conservative gender norms and ideals from both countries — but in different ways. In France, American women embodied “postwar modernity,” such as youth gadgets and domestic appliances, prioritizing an almost robotlike efficiency to be a perfect housewife and mother and feeding into mass consumerism after the war. French women also purported the image of a perfect, doting housewife, but by being the ideal form of femininity to the American media. According to Chan, each of the research assistants has their own mini-project that focuses on different aspects of Timke’s larger project, such as food and diet, beauty and fashion, and celebrity life. Grace Kelly — an American actress who married a Monegasque prince — was Chan’s assigned object of interest in her first year. Kelly married into the royalty of Monaco, a country closely associated to France, and Chan was in charge of looking at her background and how she became a mediator of American and French relations. A detective in her own right, Chan has become very familiar with scouring Bay Area libraries and digital databases to find what she’s looking for. Her research has physically taken her from the San Francisco Public Library to the UC Berkeley microfilm archives, with those of The Daily Californian among them, as well as to the online spaces of the Women’s Magazine Archive and the Vogue Archive. Often delving beyond magazines and into the foray of newspapers, photos and advertisements, Chan learned to think outside of the box when looking for different pieces. She would alternate her word choice, considering different framings or structures she could search for as well as the types of representations that could be reflected in Franco-American relations. 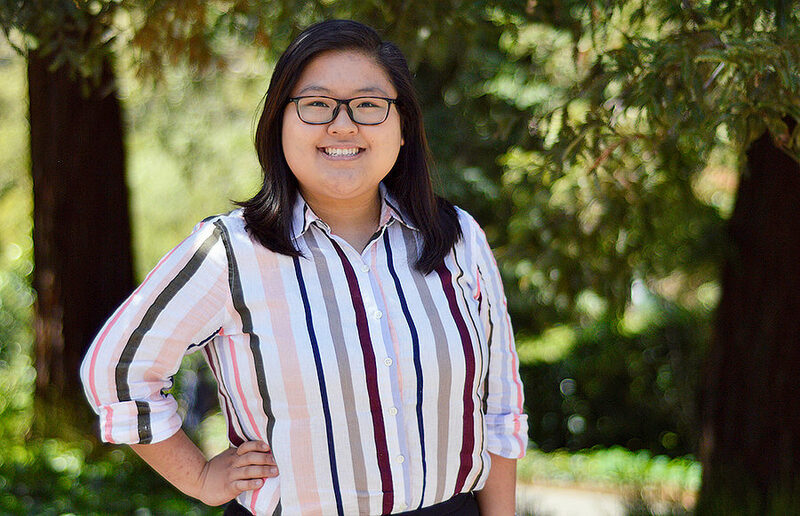 After two consecutive semesters conducting research, Chan’s work earned her a $3,000 stipend from the URAP Summer Program after being nominated by Timke, offering her the opportunity to continue her work the summer going into her senior year. Since Timke’s research focused on how French women were portrayed, Timke said he was also curious about the representation of French girls — especially because of the popularity of the series to children. The isolation of working the summer alone, however, provided some challenges. There were times where Chan struggled with finding new articles despite changing her methods of searching. “It can be discouraging (when) there’s nothing more you can grab,” said Chan. Still, Chan said she is grateful to have done research, indicating that she felt it helped her get a perspective on her classes and opened more doors to different opportunities. For instance, Chan became a peer advisor for the Office of Undergraduate Research and Scholarships because of URAP’s influence, where she co-organized her very first campus event called “Behind the Professor’s Lectern.” She worked closely with Rex DeGuia, the Student Learning Center’s director of social sciences, and held a “living room chat show,” in which professors came in and talked about how they fell in love with their disciplines. Now, as graduation approaches, she is looking toward her future. She has applied to different graduate school programs relating to strategic communications, advertising and international media. Chan hopes her undergraduate research and graduate school experience will help achieve her childhood dream to assist her family business — a lady’s corporate-wear line called Essenxa — and expand it internationally. Although Chan is unsure if academia is her true calling, she’ll be able to leverage her research experiences in the future as an independent, adventurous leader — traits she uses to describe the character she loved growing up.